You can outsource whatever you want to based on your requirements! Ken Knack Corporation’s Offshore Development Center (ODC) is now a popular business model to lower your operating expenses and raise productivity levels by leveraging talent offshore. •	Is your task too small for outsourcing and not cost-effective to develop in-house? •	Cannot find the talent you need on a budget? •	Don't want to be metered by an hour or have to pay for others inefficiencies? •	Have too many sundry tasks to be defined for execution? •	Is data entry and internet research possible for outsourcing? Ken Knack Corporation’s Near-shore Development Center (NDC) are the dedicated pools of specialized engineering, designing, programming, data processing, web scrapping and resources that act as a virtual extension to your own Data, IT and ITES teams. Our Near-shore Development Center (NDC) with its skilled resources, well designed infrastructure, proven and time tested processes is the most beneficial outsourcing delivery model with a compelling value proposition for businesses looking for web & software design and development, mobility, digital marketing, transcription, data entry and scrapping. Our NDC proposition aims to supply and retain the needed technology talent, under well-defined times of response and measurement criteria. •	Is it possible to outsource for a virtual extension of your data centre? •	Is a pool of web designers and web developers available to work virtually? Hire a super-flexible, excellent, scalable, trustworthy, reliable and talented extended team of web& IT experts including web/application developers, mobile application developers, web designers and internet/digital marketing professionals on full time. Hire a super-flexible and extended team of web designers, web/application developers and internet/digital marketing on part time with effectiveness to fulfil the needs of the clients. We at Ken Knack Corporation have a fully dedicated team of application developers for hire, which consists of professionally qualified engineers, programmers, designers, developers and consultants who have experiences and skills to create some of the most complex state-of-the-art programs. Decide exactly how to utilize your purchased hours for the project. Use the purchased hours for web designing/ development, mobile app development/ testing, digital marketing and get periodic project status progress reports. This enables us to offer highly efficient hire of web developer services on contract basis as per specific needs and requirements of our clientele. Hire web experts on project basis, a cost-effective yet quick solution for your staffing requirements. We deliver creative, economical and ROI oriented web/ mobile app development & digital/internet marketing services for companies around the world.We provide specialized project based hiring solutions which are designed to meet the "just- in-time" hiring needs of the clients. 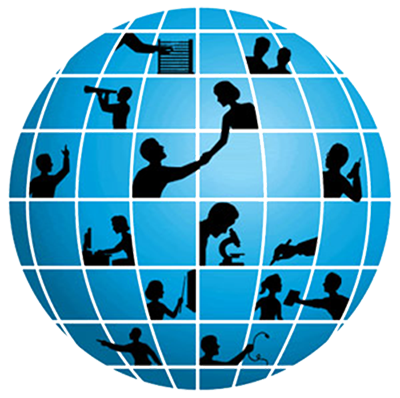 We are an extensive process oriented company which helps us to deliver quality services in shortest time frame. Why You Have To Outsource? Interested to Outsource Your Business! 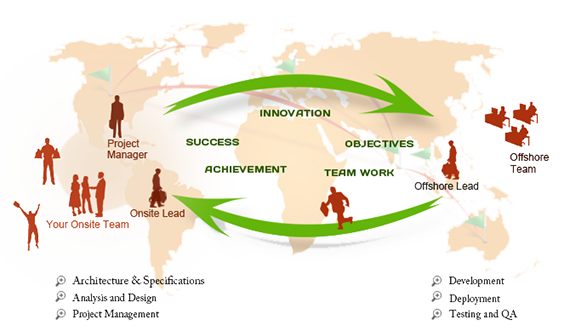 Read various outsourcing options about what we do and our philosophy of outsourcing design. we’ve achieved for other clients, and meet our highly experienced Team.